Cash might not rule everything around me, but it’s certainly a factor in my decisions. Saving a few dollars (or a few hundred) on the purchase of a household necessity lets me spend more money on the things I enjoy. This means I’m always torn between choosing high-quality tools that will last forever and cheap, disposable options that are a small fraction of the price. Vremi’s non-stick cookware is quite solidly in the second category: while their sets are some of the cheapest I’ve found anywhere, you’ll definitely wind up replacing them sooner rather than later. This isn’t a bad thing. Vremi cookware isn’t going to stack up very well to an expensive All-Clad set, sure, but it’s fairly high quality for the price. More importantly, you’re probably replacing your non-stick cookware every few years regardless of brand or price. By choosing a respectable and inexpensive set, you’ll save yourself lots of money and headache. For me, Vremi offers a great blend of solid performance, adequate durability, and low cost. It’s one of my top recommendations for someone who’s on a tight budget or someone who’s not quite so serious about cooking. To understand why, let’s dive in and review the details of their top cookware sets. Available in both drab black and vibrant multicolored styles, this non-stick cookware set features vented glass lids and a PFOA-free interior. The handles are made of a composite material that’s easy to grip and stays cool while you cook. The 15 piece set includes 4 pots, 2 pans, 4 lids, and 5 utensils. The most striking feature of this Vremi set is definitely the cost. You can pick up this full cookware set for less than the price of a single non-stick pan from some luxury cookware brands. Even when compared to other fairly inexpensive cookware brands, this set is still quite inexpensive. This makes it great for people who need to stock a kitchen on a tight budget. Of course, it’s worth noting that this 15 piece cookware has 5 utensils. Many competing cookware sets come with 3, 2, or even zero utensils, meaning you get more actual pieces of cookware. This is an important distinction to make when comparing costs. especially if you don’t think you’re going to get a lot of use out of the included utensils. A more expensive set with less “fluff” in the box might wind up being cheaper per pot or pan. The pots and pans in this set are also on the smaller side. While you get four pots, three of them are under 2 quarts. The frying pans aren’t quite as petite, but you’re still getting a 7.75″ pan instead of a 9″. For some kitchens, this is a plus. If you’re in a cramped environment or you’re not cooking for very many mouths, you might actually prefer this smaller set over one with too much cooking space. If you’ve got a big family, however, you’ll probably want to choose a different brand. Like most other non-stick cookware sets, these Vremi vessels are made from food-grade aluminum. Aluminum is valued for its low cost, low weight, and great performance when it comes to taking the heat from your stove and transferring it to your food. The outside of the pots and pans are adorned with a layer of decorative color, while the insides are coated with a PFOA-free non-stick that prevents your food from ever getting into contact with aluminum. It’s worth noting that these pots and pans aren’t particularly thick. While aluminum heats up very quickly, it doesn’t have a lot of thermal mass. This is a term that we use to describe how well something retains heat. Putting cold food in a hot aluminum pan will make the pan’s temperature drop by a fair bit. It’ll heat right back up again in a jiffy (due to how well aluminum transfers heat), but you might notice that preheating these pots and pans isn’t quite as effective as preheating a cast-iron or stainless steel pan. The handles on these cooking tools are made from a composite called TPR. It’s oven safe to 300F and stays quite cool while you cook. The handles are very much a point of contention among consumers. They’re screwed, not riveted, and the screws have a habit of working themselves loose over time. You’ll almost certainly find yourself reaching for a screwdriver every few months to re-secure the handle on your pots and pans. Worse, the handles themselves aren’t especially durable. It’s not uncommon for them to get damaged or cracked after a year or two of use. I don’t think that’s a big downside. This is for a simple reason: I treat my non-stick cookware as disposable already. Modern non-stick materials simply cannot stand up to the rigors of home kitchen use for more than a few years. 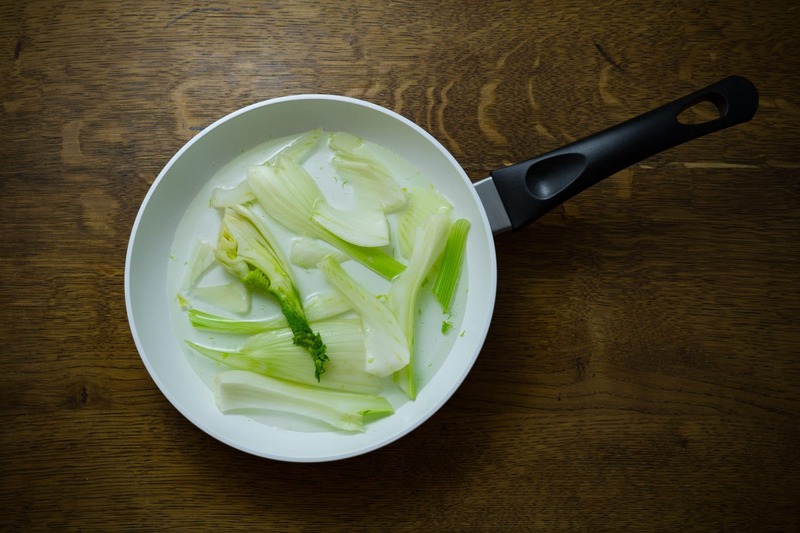 In professional kitchens, more frequent use means non-stick cookware lasts for even less time. It’s still used, however, due to how easy it makes preparing certain dishes (especially eggs). Chefs simply accept that their cookware will eventually wear out and replace it when it does. This means that saying “one of your handles might crack after a couple years” is totally moot. I personally would be extremely surprised to have this whole set last for two full years in my kitchen. I would expect that I would have replaced at least one of the pans by then. This isn’t a reflection on the quality of this cookware, but rather on how often I use my non-stick egg pan and how fast all non-sticks, even the best ones, degrade over time. Speaking of non-stick, the coating on these pots and pans is quite good. It’s a fairly modern PFOA-free coating that can do all of the usual tricks. 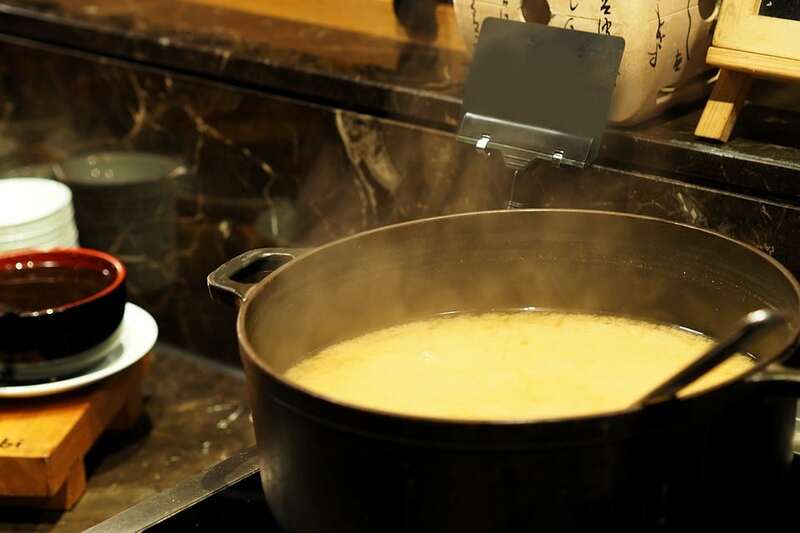 This means you can melt cheese directly into your pan and wipe it off cleanly, cook eggs with no fat or oil whatsoever, and perform just about any trick you’ve seen the folks demonstrating non-stick cookware do. It’ll work very, very well until it flakes off. 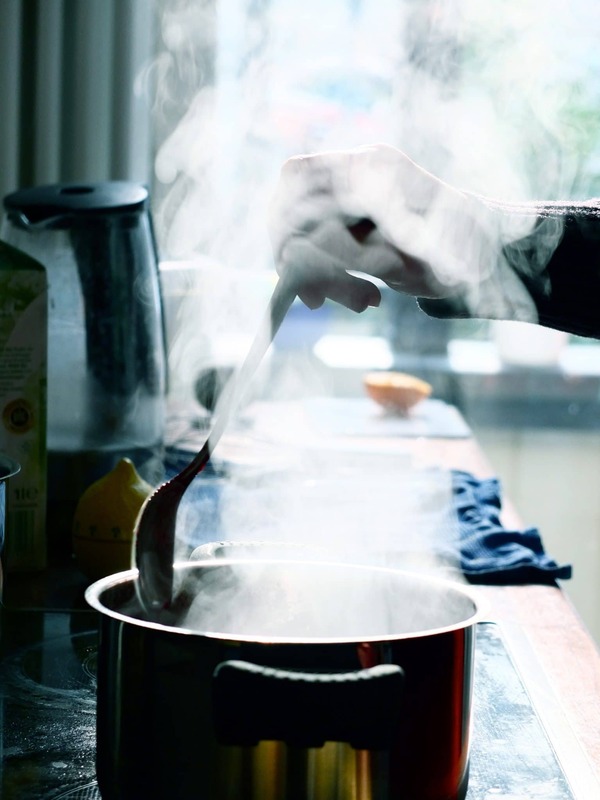 Estimates vary based on how frequently you use your pots and pans, how you wash them, and what types of heat you cook with. Like I said above, I would be surprised if the small egg pan lasted for two years in my kitchen, but I wouldn’t be surprised if the larger pots lasted for a fair bit longer. Your results will be different. The glass lids with this set are pretty standard. They fit fairly well and the steam vents are a welcome feature as far as noise reduction goes. You’re losing a few degrees of oven safety for convenience, and there’s a small chance they’ll shatter if you drop them, but neither of these downsides is particularly negative in a non-stick set. One final thing that I’d like to mention is that Vremi suggests that you do NOT use this set in the dishwasher. If you go up a few dollars in cost you’ll start to find sets from brands like Circulon and T-Fal that don’t need to be hand washed. It’s easy enough to clean this non-stick set, but if you’re a fan of automated cleanup it might be worth spending m0re on a different brand. Overall, while I strongly recommend this Vremi set, there are a couple caveats attached to this recommendation. First, you have to be willing to replace it when it wears out, which it will. The low cost of this set means that you’re paying pennies per pot per month if you buy a whole new set every couple years, which seems more than fair to me. Second, you have to be okay with the smaller size of the pots. You’re already getting a lot of cheap utensils in the box, so if you’re not going to get a lot of use out of a 1-quart pot, you might want to consider a slightly more expensive cookware set. If you’re moving into a small apartment, however, you’ll probably appreciate the slightly smaller nature of this set. If you’re not planning on cooking for lots of mouths, however, this cheap non-stick cookware set is a great way to put lots of cookware in your kitchen without spending a lot. It’s fairly good quality and quite pleasant to cook on. Most importantly, the food that you cook with this set tastes the same as food cooked on a much more expensive Demeyere set. If you’re after something a bit bigger or nicer looking, this 8 piece cookware set comes with two large dutch-oven style pots, a casserole dish, and two frying pans. While none of the pieces are oven safe, they’re still quite good for cooking food low and slow due to their heavier nature. Each pot and pan in this set is made from aluminum that’s encapsulated in between thick layers of non-stick ceramic. The interior of the pans is smooth and slippery. 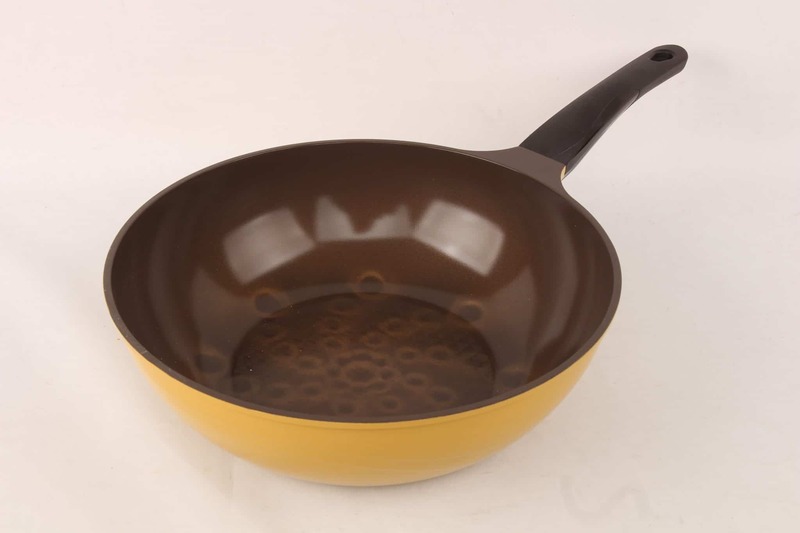 They compete effortlessly with the best Teflon pans in terms of ease of use and cleaning. Again, you can easily replicate any in-store demonstration with these vessels at home. Just like the set above, however, the handles on this set are somewhat prone to being damaged through normal use. They’re especially sensitive to heat, which is an odd quality to have in a set of pots and pans. You’ll want to avoid using this set in the oven at all costs. One very nice feature of this set is built into the bottom of each pot and pan. This non-stick ceramic set works perfectly on an induction range with no extra steps or products, which is surprisingly rare. Additionally, this set is also dishwasher safe, unlike the traditional non-stick set above. While the non-stick ceramic used in these pots and pans is effective, it’s not going to massively outperform the more traditional PTFE non-stick in terms of longevity. It won’t flake off, sure, but ceramic non-stick will definitely become more “sticky” over time. You’ll still have to replace this set after a few years of use if you don’t want food to stick to it. Again, how long this will take will vary based on your use and cleaning habits. The standout feature of the traditional non-stick set above was the extremely low cost. This ceramic set is a bit more expensive, but for good reason: the pots and pans are much bigger. They’re also heftier due to the thick ceramic coating and arguably much nicer looking, meaning they might actually be a better buy overall. If you don’t mind having a cookware set that’s not oven safe, this ceramic non-stick set ticks off all the right boxes. 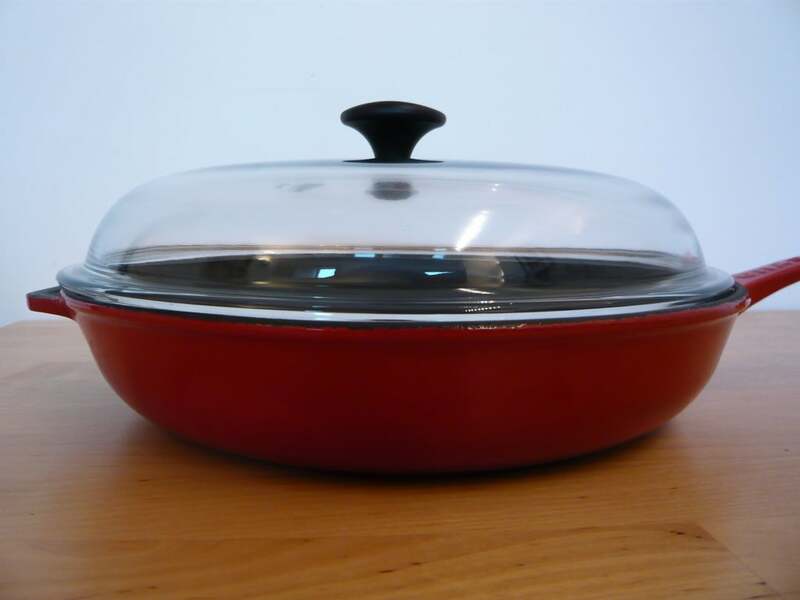 The collection of two dutch ovens, a casserole, and two frying pans gives you lots of options for cooking food slowly over low heat, quickly over high heat, or anything in between. Beautiful and affordably priced, these pots and pans will be right at home in your kitchen. If you don’t need to replace your whole cookware set, consider picking up this frying pan individually instead. It’s from the same collection as the ceramic set above, meaning it shares the same faux-wood handle, thick ceramic coating, and tasteful design. 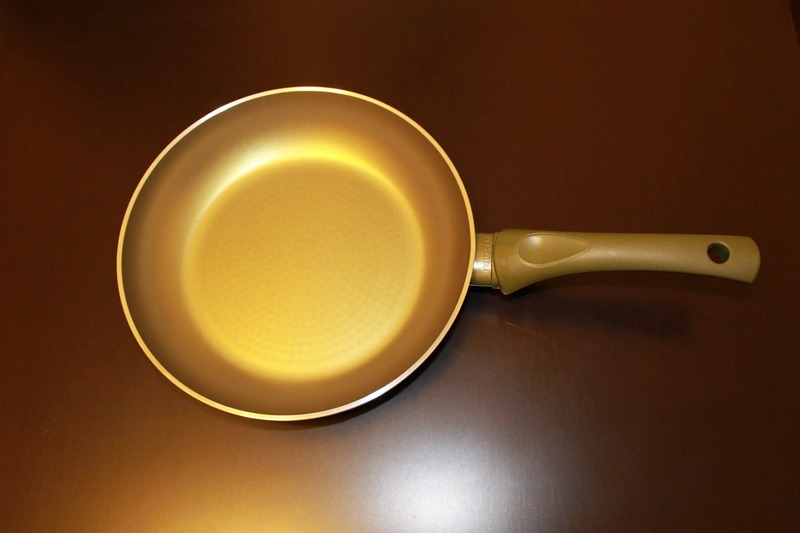 Notably, this frying pan has tall, angled sides that help keep your omelets inside the pan while you handle them. So who is Vremi anyway? Their website offers a small amount of insight: it’s a New York-based company that got started making kitchen essentials marketed towards younger people. Vremi believes in creating affordable that don’t sacrifice quality and makes it a point to connect with its customers on social media. Check them out yourself on your favorite platforms. While Vremi’s pots and pans don’t cost a lot, they’re not low quality. This makes them ideal for people who are on a tight budget who don’t want to sacrifice cooking performance or design features. You’ll still need to replace these non-stick sets after a few years of use, but you’ll run into the same problem with every other cookware brand.